Jenny, I LOVE this post. 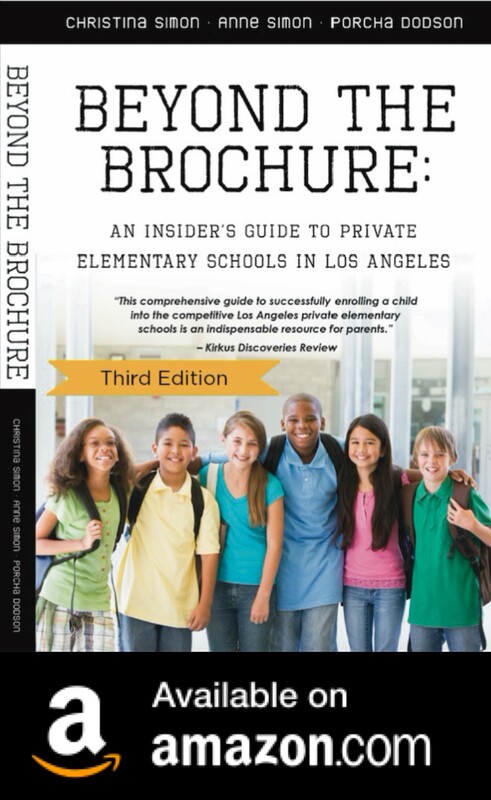 I think you hit the nail on the head when you point out that at Mirman the kids are expected to excel, they don't reward "just showing up" and the although the children are all smart, they still push themselves to do their best. I think it should be that way in every activity our kids take on. I was raised in a really laid back home where just doing my best was what was expected. I soon realized that not trying very hard meant I still did better than most & no one pushed me to actually do MY best. I think there is a middle ground between being a "Tiger Mom" & simply wimping out when it comes to pushing our kids to see their potentials. Love this. Off to share with the world. Er….Twitter & Facebook. Lol! This is so insightful — and brave, as I imagine you might catch some heat for it. It is odd to me that the more helicopterish parents get the less they seem to hold kids accountable for their actions. Mistakes are kicked under the rug, bad behavior is someone/something else's fault…I completely agree that kids need to be allowed to experience the effect of failing and losing in order to understand that their actions have consequences and in order to just tolerate real life. Parents also need to tolerate letting kids try, and at times, fail, without swooping into rescue them. I think much of the problem now is that parents derive so much of their self-esteem and identity from their children, that they can't bear to let them grow up and away from them. Perhaps you should stress that children should be encouraged to put forth their best effort at any endeavor they undertake- the same thing we adults should be striving toward. Unfortunately, not everyone can rise above 'mediocre' in playing the piano, maybe an opportunity to pursue something the child cares more about would bring about a greater effort on the child's part. There is no reason to reward a lack of effort but kindness in the face of failure might open a real opportunity for a teachable moment. I came across your post after sitting though an afternoon of less than perfect performances from piano students. I’ve been on the parent piano circuit for 15 years and in the past few years I’ve heard a decline in student playing. This decline ranges from those just starting out to teens. Yesterday was no exception. Everyone clapped. Only two students played without flaws. The other side of this equation is competitions. Competitions reward mediocrity as well. The winners are predictably dull and pieces are picked to dazzle judges but not are too daring in interpretation. I’ve heard some awesome teens perform evocative pieces with passionate interpretation only to find they’ve been passed over by judges for a more formal, dull piece, unimaginatively performed. In the last few years I have watched three teens of considerable talent (These were the students that never made mistakes at any performance for years.) walk away from piano. I asked one why they quit. The hours were long, they said and the rewards weren’t there. 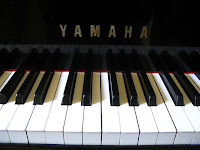 As an art form, piano is stuffy and predictable. 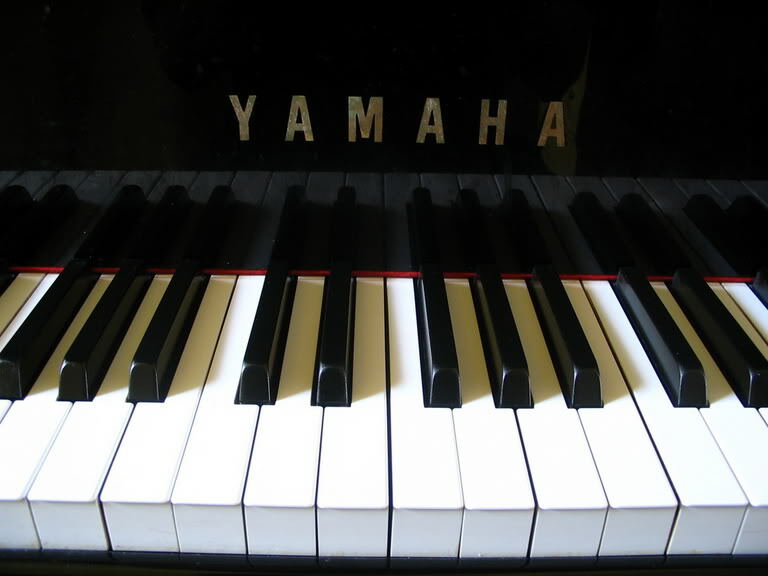 Most kids choose piano/music because it looks good on a college application. I just hope my 9 year-old will keep playing and be the one of the kids who rises above this current state of mediocrity.